Cost 1: The Employee. When an employee is unable to work due to an injury, both their physical and financial wellbeing are affected. Their work produces the income they need in order to put food on the table, pay their bills, and to be able to afford whatever they are passionate about in life. Cost 2: The Family. MSD injuries often result in chronic pain, substance abuse, and family stress. MSD injuries have been the catalyst for the financial demise of many families and are often precursors to separation and divorce. Cost 3: The Team. When employees are absent from the workforce, their team are left to wonder how their coworkers are getting along. The absence of injured employees also places coworkers at jeopardy and increases stress. The remaining team members have to do the same or more work, with less bodies. They might also have to work with a new team member who may not be as well trained on the particular job or tasks at hand. These factors increase the risk of injury to every remaining team member. Cost 4: Morale. Injuries also lower workplace morale and workforce productivity. Workers most often rate their coworkers as the number one reason they enjoy their job. When coworkers are missing and there are not effective, managerial communications in place, remaining employees don’t really know what happened. Rumors and false information permeate the workforce, further exacerbating the problem. In addition, when a percentage of the workforce is working while in pain, morale always takes a huge hit. For these reasons and more, injuries have a negative impact on the safety culture and safety climate of all organizations. Cost 5: Productivity. After an injured employee returns to work, they are then five times more likely to reinjure themselves. If a company has 300 workers, you can be assured that some of them had some type of a pre-existing condition when they were hired. Perhaps they had been involved in a car accident or two, were hurt in a sporting event or even at their previous job. 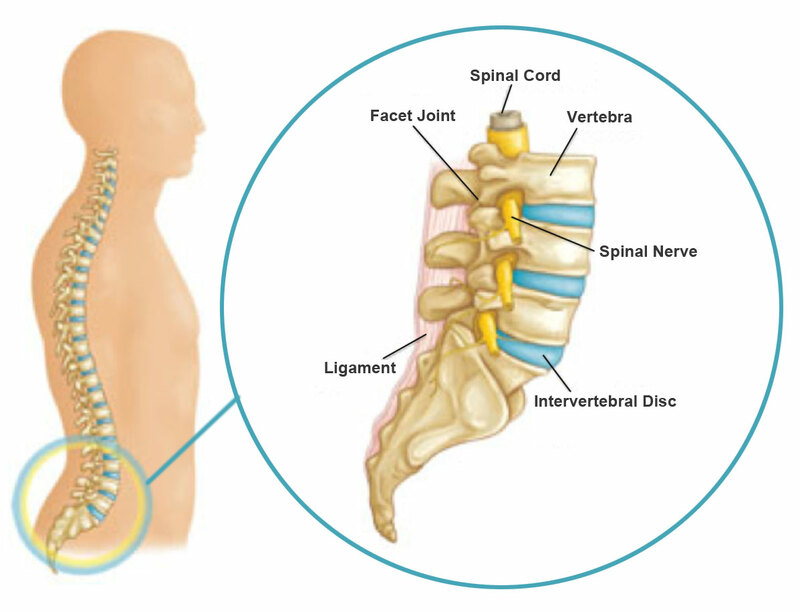 Others may have been born with a spinal abnormality or congenital disorder. Let’s assume the average, if the injury rate of your company is 4.5 and every year 13 people become the victims of a painful injury. After just 10 short years, the cumulative total of injured workers who now cannot perform tasks at what was once their peak performance is now over 50% of the entire workforce! Cost 6: Culture: Safety Culture always takes a hit when an employee is seriously injured. Friends are missing, investigations take place, rumors begin and sometimes blame is cast or at least insinuated. In many instances, injuries do not bring about the best in people and may often point to flaws in numerous areas. Exposing what was incorrect with an act, a flaw in a piece of equipment, or even a process, may be fertile ground for negative outcomes, (as well as positive ones). People often take sides, or may use this information to bolster a position or even to justify disciplinary measures. Injuries are never cause to celebrate, so the more injuries there are, the bigger the hit on the Company Culture. Cost 7: Absenteeism & Presenteeism. Absenteeism is when an employee does not show up for work. The only illness which causes employees to miss work more than MSD injuries is the common cold. In contrast, presenteeism is defined as showing up for work when one is ill or not able to perform their job to the degree they are able when they are healthy. Presenteeism has only begun to receive attention in recent years. Research suggests that it might cause more aggregate productivity loss than absenteeism. An employee may come to work because he or she simply needs the money and cannot afford to take time off, however many employees experience fatigue, discomfort, and pain as a result of their everyday tasks and activities. Some of these tasks include sitting at a desk, computing, lifting, and standing on hard surfaces throughout a shift. Consequences of chronic presenteeism may include negative affects on downstream health status, job attendance dynamics, and organizational membership. Where MSDs are concerned, presenteeism is often a substantial hidden cost. Fatigue, discomfort, and pain exist to a greater degree in many workforces than once was believed and take a financial toll on every business, every day. In fact, a recent study in one company showed that over 70% of their employees experience fatigue, discomfort or pain on a daily basis. How big of a financial toll might this have on your organization? Take the total number of employees in your entire workforce and divide that number in half. Now multiply that number by 5 and multiply that result by the total average hourly wage at your company. Finally, multiply that number times 50. There is your answer. That is how much money your company might be losing every year, to presenteeism. Ex: 300 workers: 300/2=150. 150×5=750. 750x$25.00=$18,750. $18,750×50= $937,500. Accurate Ergonomics is an industry leading, MSD prevention organization. We know how to help get to the bottom of your MSD costs and how to turn these costs into profits. Our education and training solutions include the implementation of effective countermeasures, while simultaneously reinforcing safe and positive, prevention-based behaviors. To put an end to these costs and navigate your way to injury prevention excellence is the best investment you can make. Call now to speak with an Accurate Ergonomics expert: 1-866-950-ERGO (3746), or email us at info@accurateergonomics.com.